What do wedding guests remember on your wedding day? Of course, there’s the church, the beautiful wedding reception venue, the scrumptuous food, and the wedding program. 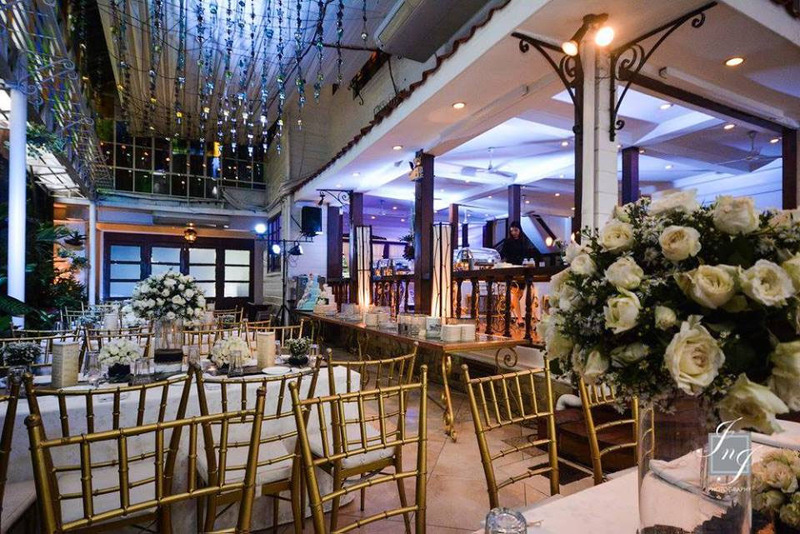 But aside from these basic wedding elements, Ibarra’s Party Venues and Catering Specialist gives them something more to talk about. Ibarra’s Party Venues and Catering Specialist upholds the principle of giving their clients “value for their money”. They have served over 150,000 covers a year while making known the quality service and value of their wedding reception venues as well as their catering specialties. With vast experience in the wedding reception and catering industry, Ibarra’s is also at par with others in providing the fresh and new additions to wedding packages that couples are looking for. Don’t let their name throw you off. No one can deny the quality of food and the beautiful wedding set-up Ibarra’s can provide but that’s not all they can give you. Their wedding packages include not just reception area and food but other wedding needs as well. 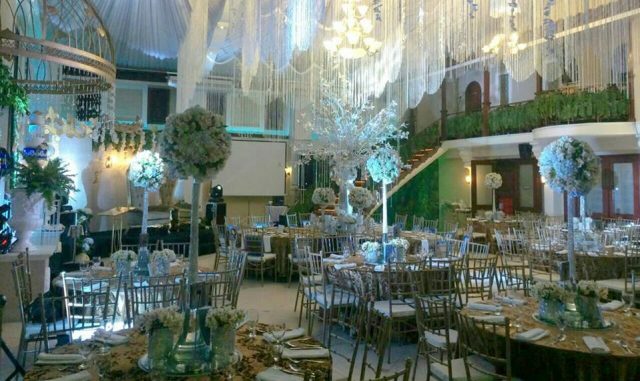 Aside from the table setting and physical arrangement of the area, Ibarra’s wedding packages include a bridal car with bouquet, wedding souvenirs, well-designed floral centerpieces, three-layered fondant wedding cake, guest book and pen, tiffany chairs, photographic tarpaulin, wedding reception programme, red carpet and even a sword parade entrance. You don’t just get a wedding venue and food, you get a complete wedding service when you avail of Ibarra’s Wedding Packages. Wedding Souvenirs. Guests are often tired of the same old wedding souvenirs that you display in your house to become dust gatherers. This is why Ibarra’s have introduced wedding souvenirs that guests can bring home and enjoy – pastries! These can be your choice of either cupcakes, mini-cakes, cookies and brownies that are all elegantly designed and packaged. These wedding souvenirs are eye candy and delicious at the same time! Another wedding souvenir guests can enjoy are wedding souvenir plants. These are perfect eco-friendly wedding favors to give out. Guests can bring them home and make it a nice addition to their homes while they remember your wedding day. Photo Booth. Soon-to-wed couples may also opt to choose photos as their wedding souvenirs. Ibarra’s wedding packages also include a photo-booth set-up where guests can enjoy getting their pictures taken as well as take the photos with them as souvenir. Photo booths are perfect for wedding receptions as families and friends often reunite at weddings. Photo booths can help capture the reunion of your high school barkada for example. Plus you no longer have to contract an outsider for the photo booth as Ibarra’s will already handle it for you. Mobile Bar. Drinks on your wedding reception can make for a fun party. This is why Ibarra’s also introduces the new addition to its services, the Cocktails and Dreams by Ibarra’s. With Cocktails and Dreams, unlimited mixed drinks will be served for a number of hours. Shooters and signature drinks (if requested) will be available to your party loving friends. With these delicious drinks and attractive mobile bar set-up, your guests will surely have more to talk about and remember on your wedding day. So remember, Ibarra’s is not just a party venue and a catering specialist; it is your dream wedding reception waiting to happen. Book at Ibarra’s and get the best services and the freshest additions to the wedding experience your guests will most ultimately remember. With Ibarra’s, you can have the “in” and intimate wedding reception you so desire.